CEJN’s pressure gauges include both bottom and panel mounted options in models up to 29,000 PSI (2000 bar). All models are glycerine filled for improved performance and long life. 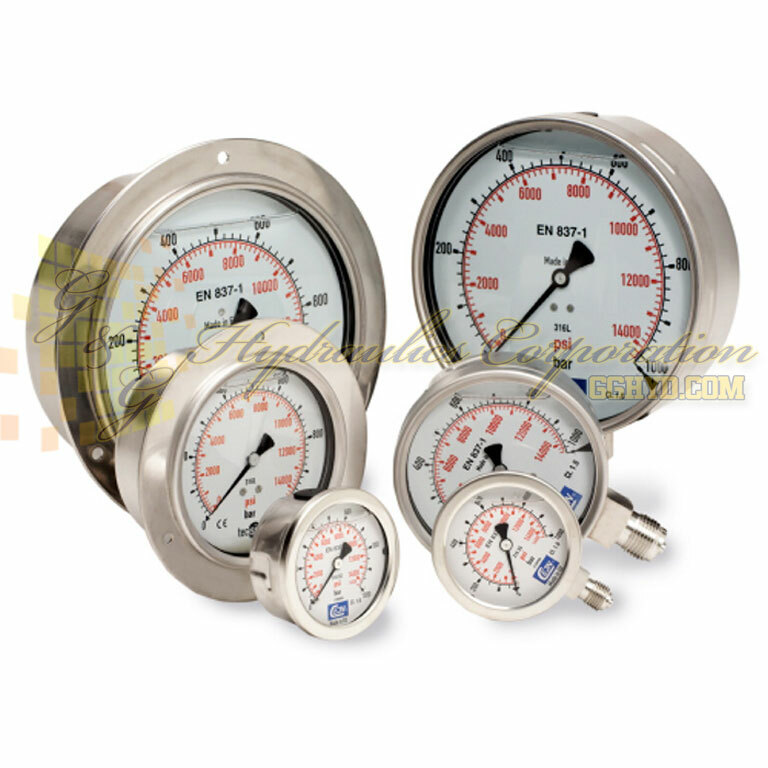 The gauges are made of stainless steel, for use in all kinds of environments. Max rec. working pressure: 75% of the full scale range. Material: Stainless steel AISI 316 and AISI 304. Dial face of aluminum with black graduations. Pointer of aluminum or stainless steel. Gasket of polychloroprene. Window of plexiglass. Liquid: Filled with 98% glycerine. Accuracy: Ø 63 mm +- 1.6% of full scale. Ø 100 and 150 mm +- 1% of full scale. Miscellaneous: Ø 100 and 160 mm manufactured in accordance with EN 837-1.